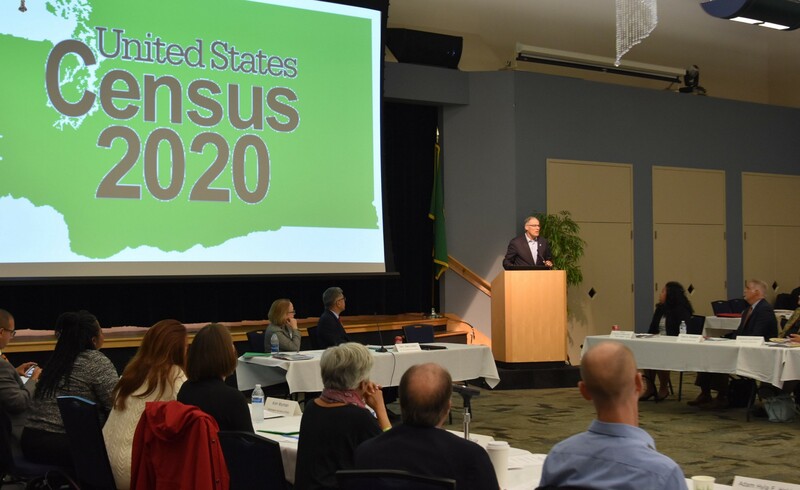 We’re one year away from the start of the 2020 census and leaders in Tacoma, Seattle, Pasco and other Washington cities are part of an all-out effort to deliver one crucial message: Fill out the census form because your voice counts. Gov. Jay Inslee convened a Complete Count Committee in October 2018 to bring together partners from across the state to make sure every resident understands the importance of participating. While the Trump administration has proposed significant changes — such as limiting financial resources for the census and adding a question about citizenship status — that could discourage participation in low-income or underrepresented communities, the committee is working with state agencies and community leaders on strategies for reaching those households. And agencies such as the Office of Superintendent of Public Instruction are partnering with schools and universities to develop student-centered outreach plans. 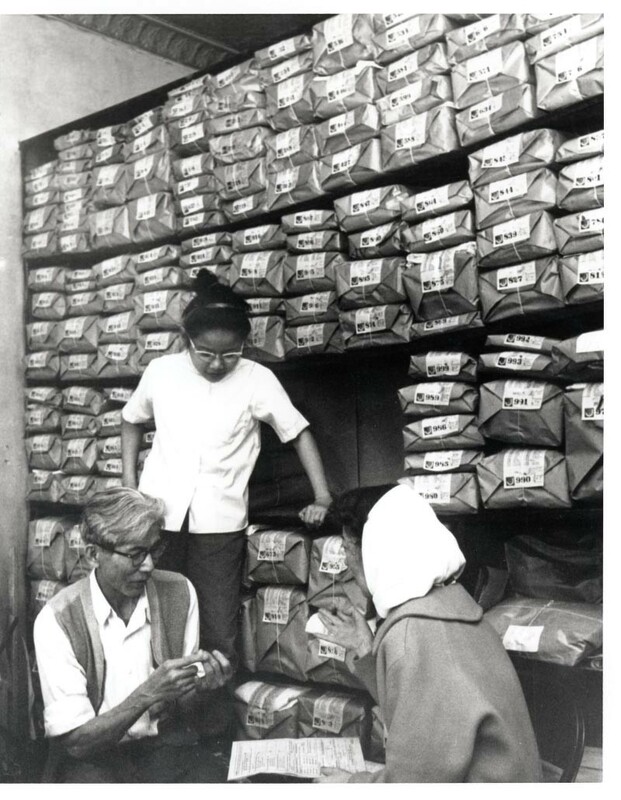 Historically, certain hard-to-reach groups, such as racial and ethnic minorities or limited English speakers, are undercounted. The census, which takes place every decade, counts every U.S. resident. The final number determines how many representatives Washington gets in the U.S House of Representatives. Experts will also use the numbers to draw political boundaries for state legislative districts. But the more direct way that the census affects Washington households is how our communities benefit: The numbers guide in decisions about where to build or how to fund things such as roads, schools, senior centers, grocery stores, rural assistance programs, food stamps and health care programs. The number of people also determines the amount of money the state gets for certain projects. During 2016, Washington received $16.7 billion worth of aid and services based on census numbers. The 2020 census marks the first time residents can submit their questionnaire online (usually about a 10-minute process). If they don’t have internet access or don’t want to submit their information online, they can still fill out the form by mail or phone. Based on its research, the United States Census Bureau expects that 60 percent of people will complete the form online, 33 percent by paper and 7 percent by phone. Inslee appointed former Gov. Gary Locke to chair the statewide committee. 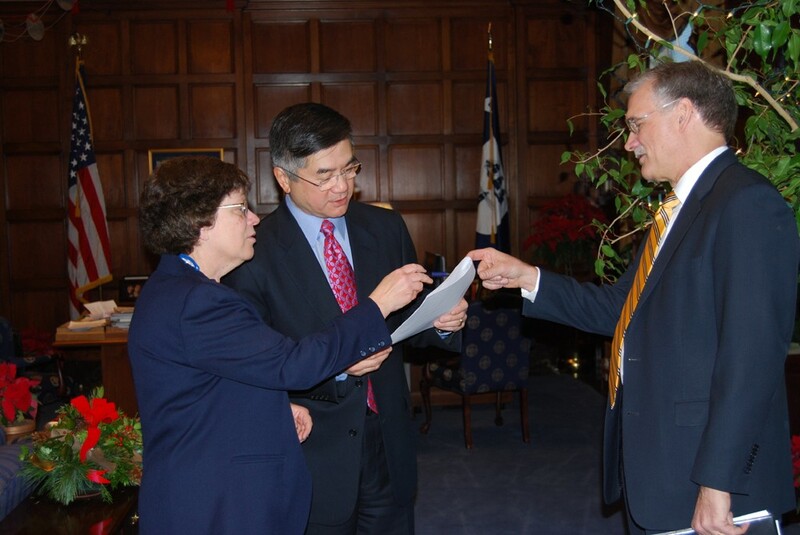 Locke oversaw the federal 2010 census when he was the U.S. Dept. of Commerce secretary. The census was completed in time and under budget, saving $2 billion. The 2010 census is also recognized for its accuracy. Lisa McLean spends much of her workday on the road giving census 101 presentations to different community groups. “It’s about getting in touch with people who have a pulse on their community,” she said. “All of us are doing what we can to awaken different communities. McLean, Complete Count Committee coordinator at the Office of Financial Management, said she wants to inspire residents to be active in census efforts. Her goal is to widen the circle of community leaders — called “trusted messengers” — at the grassroots level who will carry the census message back to their own communities. “The message is that it matters to you, and will bring resources that will improve the future of your family and community,” McLean said. Local committees are launching their efforts as well. King County representatives held a media conference Monday to announce a grants program that promotes census efforts. LoAnn Ayers is a member of the Tri-Cities Count Committee Team and said her team’s game plan is to divide and conquer by creating committees for different population segments. Overall, she wants each group to get the message about how the census impacts their lives. The Tri-Cities group is designating champions for different groups. A champion may already be a leader in the respective population. For example, Ayers said the group found a champion for the senior population who can keep seniors in the loop about census efforts. There’s another champion for the homeless population. A champion for youth. And champions for various immigrant populations. Sarah Peterson has worked with refugee and immigrant communities for almost 19 years. It’s more difficult to capture an accurate count of people who don’t speak English or who were born outside of the United States, said Peterson, the Washington State Refugee Coordinator and Chief of the Office of Refugee and Immigrant Assistance for the Department of Social and Health Services. Due to the heightened political atmosphere on immigration, members of the Complete Count Committee know there are population segments who feel worried about the possibility of a citizenship question on next year’s questionnaire. This won’t get answered until a U.S. Supreme Court decision comes out in June. The issue is whether it’s legal to include a question about an individual’s citizenship status on the form. Right now, the form does not include a specific citizenship question. McLean said there’s a law that makes it illegal for anyone in the Census Bureau to use your response against you. It’s even illegal for the bureau to share information with other agencies. The bureau can use your census information only to show statistics about the Washington population. And the penalties for violating this law are severe. Peterson said the census drives our democracy. She has learned that people who come from other countries respect and value the opportunity to participate in the democracy that the United States promises. An accurate count helps the state fund programs and services that people need to thrive in their communities. “For me, helping people from other countries to fully participate in our democracy is about protecting and honoring the American dream,” Peterson said. You can view a breakdown of the census 2020 questions through the census.gov site. You can also view the mailed-in form here.